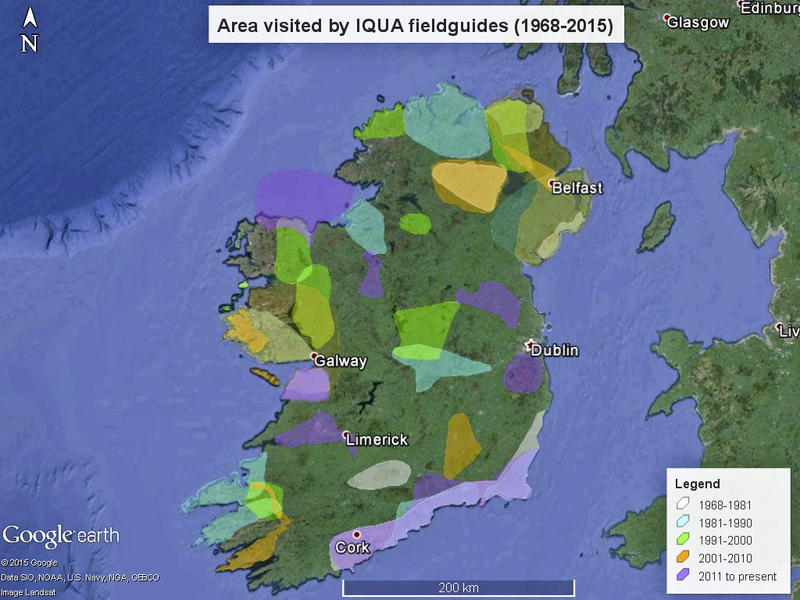 IQUA publishes a range of materials to further its goal of promoting research and understanding of the Quaternary history of Ireland. Our publications include, primarily, our series of companion field guides for each of our annual field meetings, our regular newsletters for members, and programme and abstract booklets prepared for our yearly symposia. Our series of field guides begins properly in 1978 with A. M. McCabe’s guide to the South County Down region and continues to the present. Several guides are available for free (in .pdf format) as examples, including the 2006 guide to selected areas in the Lower Bann Valley and Belfast District by G. Swindles and the 2001 guide to Western Connemara by P. Coxon. Our guides are widely recognised as valuable resources for teaching and research on the landscape history and archaeology of Ireland and all guides carry ISBN and/or ISSN numbers. Print and pdf copies of our available field guides may be purchased online easily and securely by clicking on the Field Guides tab in the menu. Our series of yearly newsletters feature information of events of interest to those studying aspects of the quaternary history of Ireland, including summaries of recently completed theses, brief research reports and relevant publications. Newsletters for the current year are available only to IQUA members (you may join and support IQUA for a small annual subscription on our Membership page) but newsletters from previous years are archived and free to access by clicking the Newsletter tab in the menu. Programmes and abstract booklets detailing work presented at our yearly symposia are similarly available at the relevant menu tab to the right in .pdf format. These include occasional volumes of extended abstracts and proceedings.